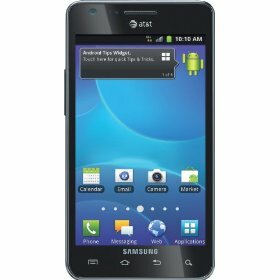 Samsung Galaxy S II LTE Skyrocket smartphone has just made official by AT&T. This upcoming handset is featured with high-end specs such as Dual core processor, a 4.5 inch Super AMOLED Plus display with a resolution of 800 x 480 pixels , etc. You will be able to buy it from AT&T after signing a new contract with AT&T and also making payment of $250. However, you have to wait till 6 November when finally it will be available at AT&T stores. Samsung Galaxy S II Skyrocket LTE Phone comes with an 8MP snapper that has the capability to record 1080p video; same as of Motorola Droid 4 upcoming handset of Verizon Wireless. It also has a 2MP front facing snapper for video calling purpose. It brings 16 GB of internal memory which can be expanded via microSD card slot up to 32GB. It runs on Android 2.3.5 Gingerbread OS.